I’m not the biggest eater of bread but when I am going to eat some, my general rules are homemade or else locally produced sourdough. Sourdough is possibly the purest bread of all with only three ingredients (water, flour & time). If you fancy making your own, I would recommend trying Riot Rye‘s foolproof method, time & patience is required but you will be well rewarded for your efforts I promise! 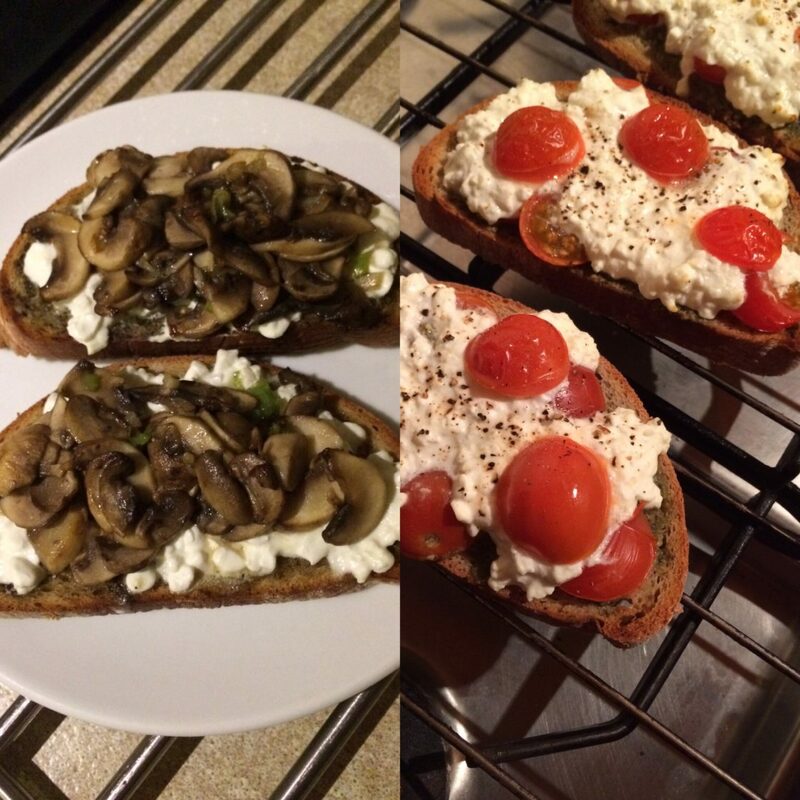 Bruschetta is a great option when in a hurry or simply have very little in the fridge. The pesto should last for 1-2 weeks in a jar in the fridge. Simply add your favourite toppings & enjoy! For the pesto: simply add all the ingredients with half the oil into a food processor and blitz until smooth. Add the remaining oil little by little until you get a suitable texture, taste as you go. For the bruschetta: heat the grill, spread 1 tablespoon of pesto on each slice of bread and place under the grill until lightly toasted. Top with the cottage cheese & the toppings of choice. Return to the grill for 2-3 minutes. These are so good, let me know how you get on making them!